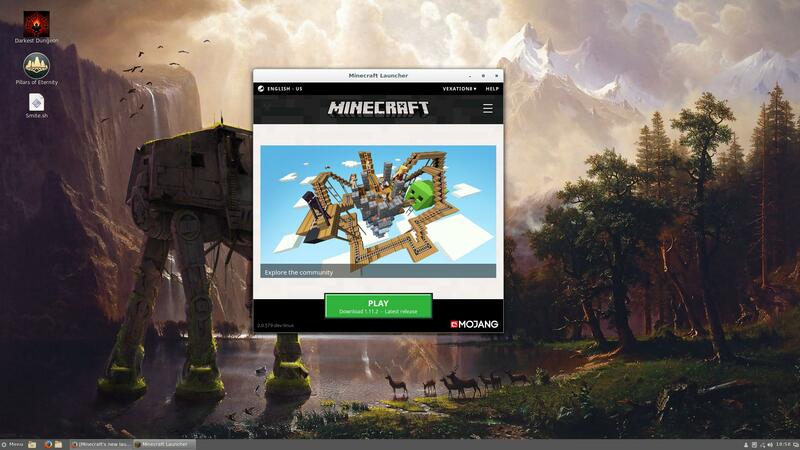 That's right, post-Microsoft purchase Minecraft is still seeing great support for Linux. 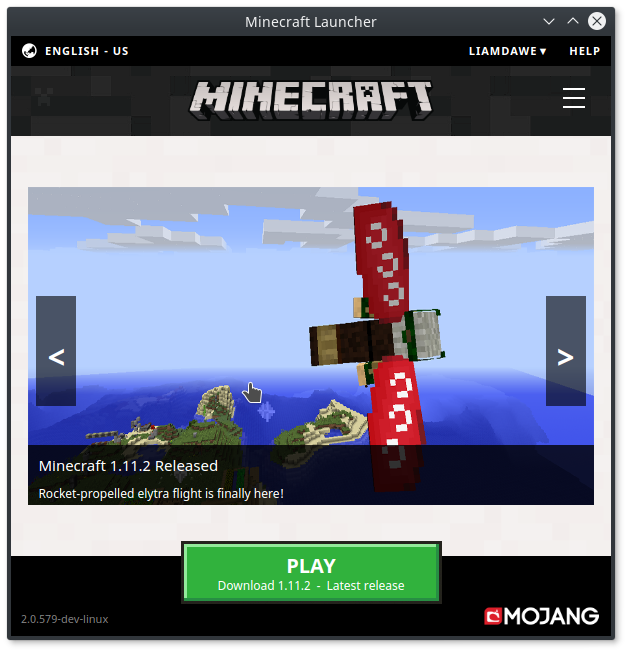 Their shiny new launcher is now available. Click to make each bigger - Far sexier than the old launcher that's for sure. 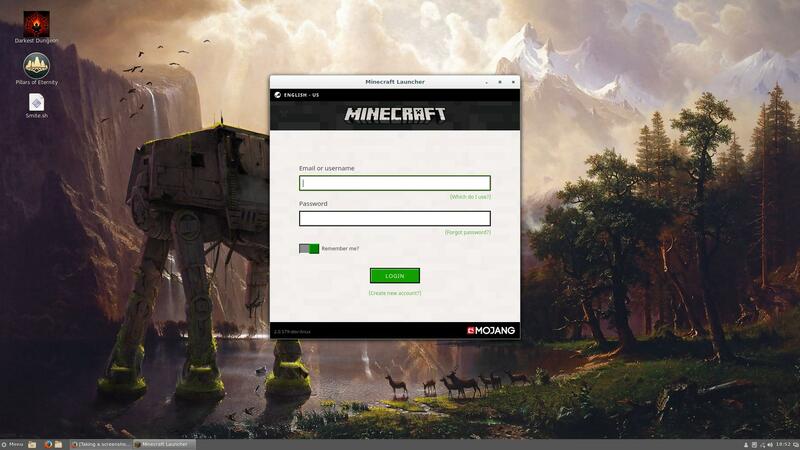 My son adores Minecraft, so having continued support for it on Linux is really great news for me. 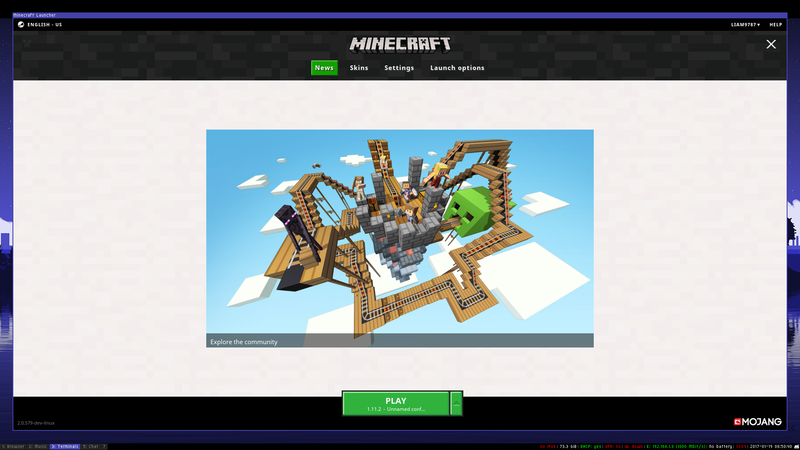 It looks like Mojang actually hired people with more Linux knowledge, so that's a good sign. One of their developers appears to be an Arch user, wow. 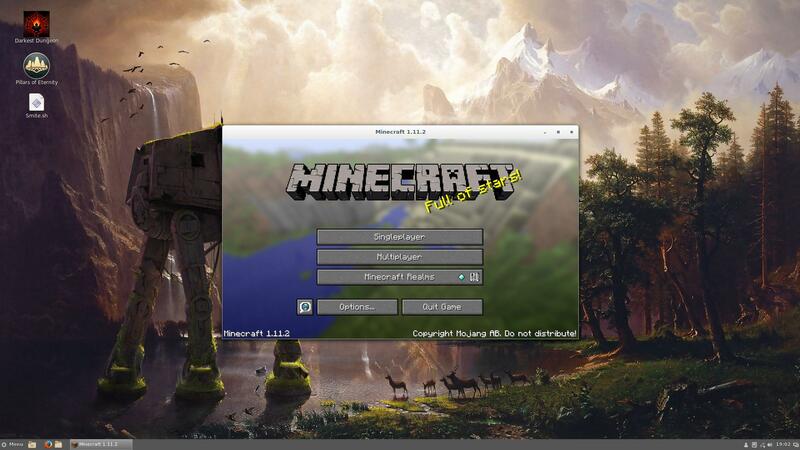 The Minecraft developers are looking to get their own Linux repository setup, but for now they are giving you direct downloads. It's not 100% finished yet, but it should soon replace their dated and ugly old launcher that used Java. They are including downloads of a .tar.gz for everyone, a .deb file and they also have an official package in the Arch AUR. Find all the info on this reddit post. Be sure to let them know about missing dependencies! I've tested the launcher on Antergos, and it works perfectly. What's the point of the new launcher? It doesn't depend on Java and with their proper installers (like .deb and being in the AUR) it will bring in any dependencies it needs without causing gamers hassle. It's exactly what a launcher should be, essentially. java isnt a bad thing, its a great language than its one of the most popular ones, but if devs wants to create GUIs with it, they should use JavaFX instead of Swing. I've just tried it on my system. Doesn't work at this point. 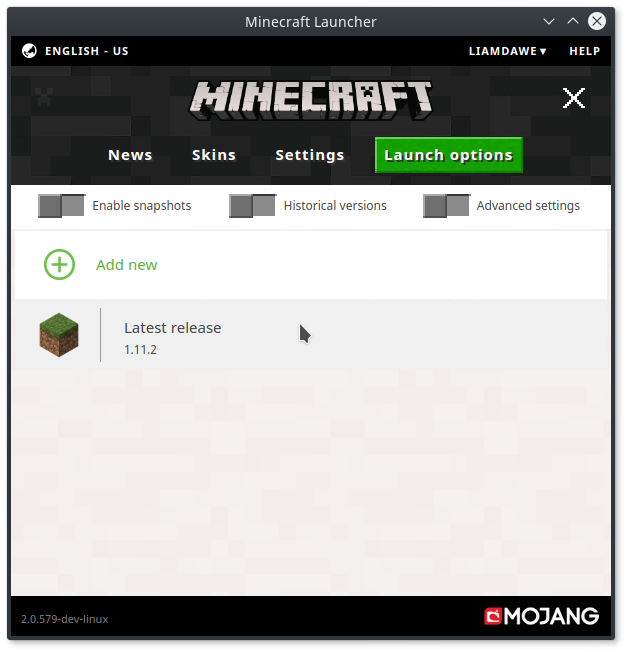 Still, great to see Mojang is keeping their word and is still maintaining linux as a platform. I'll dig through my passwords and see if I can give a whirr with Arch and keep you posted here. Previously ran the java client on Ubuntu 16.04 with no issues. I'll tackle this one probably later tonight or this week, too - I'm curious to see if the whole 'multiple presets' functionality is still there (i.e. what if I want to play an old version of MC? Or switch to a custom path i.e. modpack? Can Forge still hook and install into it? ), or if this is really more like a fork than a proper rebuild. Just glancing at that screenshot I'm tempted to say it doesn't look to be anywhere near as full-featured as the 'legacy' launcher, but we'll see. We've been at the point of using the wonderful MCUpdater with its ability to feed it custom packs built from XML for years, though, so I don't see that changing. Vexation I'll dig through my passwords and see if I can give a whirr with Arch and keep you posted here. After updating my icu57 and some java dependencies, installing went pretty smooth on Arch. Not too much of a hassle since it's available on AUR and can be easily packaged and installed. Performance seems good, and it looks pretty damn neat as well. Kithop I'll tackle this one probably later tonight or this week, too - I'm curious to see if the whole 'multiple presets' functionality is still there (i.e. what if I want to play an old version of MC? Yes, I added a second screenshot to the article just now to clear that up. This is still perfectly possible. Levi I've just tried it on my system. Doesn't work at this point. Yeah, the Reddit post says Ubuntu 16.10 or its equivalent minimum.